The Ocean City Nor’easters is a soccer franchise based in Ocean City, New Jersey that competes in USL League Two (formerly the Premier Development League) -- the top men’s amateur league in North America. The legue is considered the fourth level of soccer in the United States below the professional leagues Major League Soccer, the United Soccer League (USL) Championship and USL League One. Players have the ability to compete in USL League Two throughout the summer months in a professional setting while maintaining their collegiate eligibility. The league is the proving ground for players that aspire to reach the highest levels of the game, while providing affordable family entertainment to the Ocean City community. For more than two decades, the Nor'easters have established themselves as one of the best USL League Two teams on the continent. Since joining the league in 2003, Ocean City has the seventh-best overall record, and the fourth-best home record among the more than 70 teams across North America. In the history of the league that dates back to 1995, the Nor'easters have the eighth-most wins of any club. Among the accomplishments, are the 2009 team that reached the PDL Quarterfinals as well as the 2012 team that reached the PDL Round of 16. Since 2013, the Nor'easters have reached two national semifinals (2013 & 2016). Ocean City has won three division titles (2004, 2012, 2013) and have made seven playoff appearances but the club's performances in the Lamar Hunt U.S. Open Cup have made a name for itself on a national stage. The Nor'easters have upset five professional teams in the tournament, and among all of the amateur clubs that have taken part in the tournament since 1995, only two teams (Michigan Bucks, Des Moines Menace) have more pro upsets than Ocean City. They've even gone toe-to-toe with two MLS teams (D.C. United in 2009 and Philadelphia Union in 2013) in the tournament and nearly pulled off major upsets on the road in both games. In addition to their achievements on the field, individually, more than 70 Ocean City alums have moved on to play professional soccer. From Major League Soccer and the United Soccer League to more than a dozen countries from around the world, Ocean City alums have earned a living playing the game they love. You can find a full list of all the Nor'easters in the pros (both past and present) HERE. Supporters can "Follow the Storm" on Twitter, Facebook, Instagram & YouTube. The Nor'easters celebrate after beating the Pittsburgh Riverhounds (USL) in the 2013 US Open Cup, before facing the Philadelphia Union of Major League Soccer in the next round. The Ocean City Nor’easters will provide, through club sponsors, access to discounted meals at various restaurants around the city of Ocean City, NJ. The Ocean City Nor’easters will be competing in USL League Two, as well as friendlies. The schedule is due to be released in February 2019. Treasurer & Assistant GM - Giancarlo Granese Jr.
Former Nor'easters player and current general manager Giancarlo Granese Jr.
Tim Oswald, the Nor'easters' sporting director for the last two seasons, and the club's head coach from 2012-16, will return to the sidelines for the 2019 season. Oswald, Ocean City's all-time leader in USL League Two coaching wins, takes over for John Thompson who recently stepped down after back-to-back nine-win seasons and leading the Nor'easters to the Third Round of the Lamar Hunt US Open Cup. Oswald will be surrounded by familiar faces as he has reassembled the staff that helped the Nor’easters reach the PDL National Semifinals in 2016. Kevin Nuss, who was an assistant coach under Oswald and later the general manager for that 2016 team, will replace him as sporting director. Meanwhile, Oswald welcomes legendary coach Skip Roderick back to the club as an associate head coach. Oswald was the Nor'easters' head coach for five seasons and finished as the club's all-time leader in USL League Two victories with a 47-19-6 record. He led the club to a pair of Mid-Atlantic Division titles (2012, 2013), two Eastern Conference championships (2013, 2016), reaching the PDL National Semifinals in both seasons. 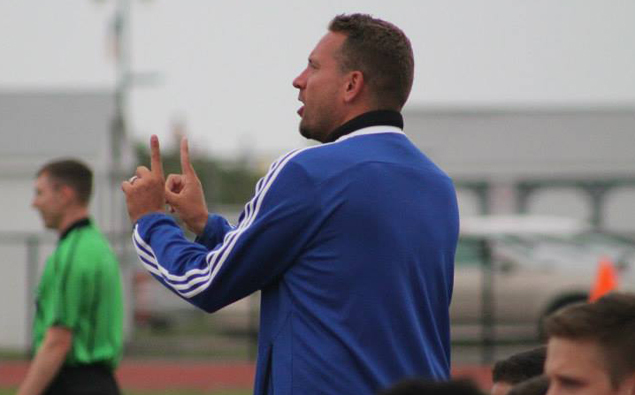 Oswald was also a finalist for the PDL Coach of the Year award in 2012. 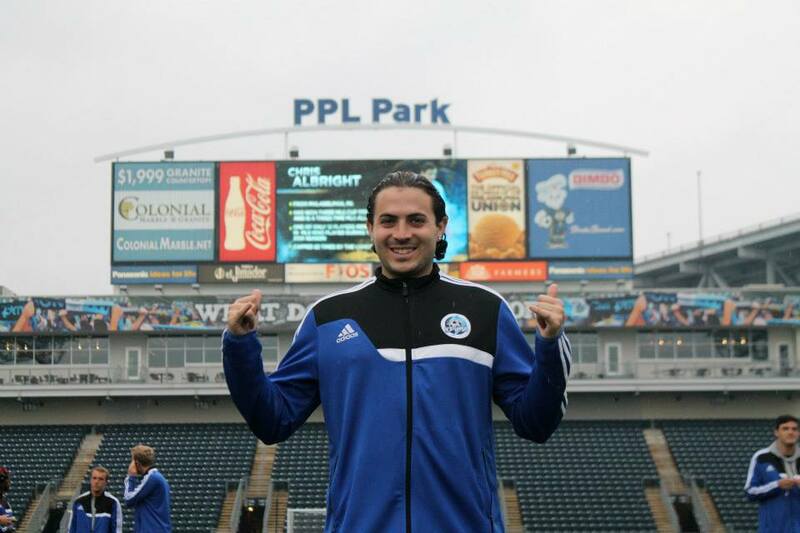 Oswald also led Ocean City to a pair of appearance in the Lamar Hunt U.S. Open Cup (2013, 2014). In 2013, the Nor'easters earned the club's fifth all-time upset of a professional team as they knocked off the Pittsburgh Riverhounds of the USL before narrowly falling to the Philadelphia Union of MLS at PPL Park in the Third Round. During Oswald’s five years with the Nor'easters, 40 players have moved on to play the game at the professional level both domestically and overseas, including 11 players who have been selected in the MLS SuperDraft. The goal of the Ocean City Nor’easters is to provide training to keep players sharp, fit and fresh while preparing them for their upcoming collegiate season. The Nor’easters staff works diligently to monitor every player's health and fitness, through workload. The Ocean City Nor’easters will begin training as soon as they arrive from college. The Ocean City Nor’easters technical staff conducts 2-3 team training sessions a week throughout the season. Of the weekly training sessions, one session is entirely focused on the preparation of the week’s match. The Ocean City Nor’easters, led by team Sports Therapist, conduct recovery sessions after every match. The Ocean City Nor’easters provide all players and staff with professionally driven transportation from Ocean City, NJ to all matches and club functions. The Ocean City Nor'easters do not cover any costs associated with travel to or from Ocean City, NJ, for any player. The Ocean City Nor’easters play all home matches at Carey Stadium ("The Beach House" at 6th Street & Boardwalk), right off the Ocean City Boardwalk and the Atlantic Ocean. Players will have access to Carey Stadium’s training facilities and locker rooms, two hours prior to every home match. The City have installed a new turf field with new cork infill that keeps the survace cool. The playing surface is 120 yards x 72 yards. Carey Stadium, aka "The Beach House"
The Ocean City Nor’easters conduct all team-training sessions at Tennessee Avenue Soccer Complex, right off the Bay & 6th Street Field, steps from the Nor'easters clubhouse. Club sponsor, Greate Bay Racquet & Fitness Club provides full fitness facilities for all players & staff for the entirety of the season. The Ocean City Nor’easters provide a team doctor available to all players and staff; available upon appointment. The Ocean City Nor’easters provide a full-time sports therapist & athletic trainers, available to all players and staff who attend all team functions (home or away). The club's sports therapist is available to all players and staff, during normally scheduled hours. Players are provided with all official Ocean City Nor’easters gear, such as training & match day apparel. The Ocean City Nor’easters DO NOT provide any personal player gear, such as boots, shin guards, goalkeeper gloves, etc. All Ocean City Nor’easters players are responsible for their own behavior and for conducting themselves as professionals during their time in affiliation with the club. Due to storied success and popularity of the Nor’easters within Ocean City, NJ and the local southern New Jersey shore area, all Ocean City Nor’easters players and staff are viewed as public figures. The Ocean City Nor’easters do numerous community-driven events and players are expected to participate (when available) as the club’s involvement in the community is important to our success, on and off the field. All Ocean City Nor’easters players are responsible for managing and maintaining all club-issued team and personal gear and equipment. All Ocean City Nor’easters players are responsible for cleaning, managing and maintaining the club provided housing, as well as all fixtures, furniture, appliances and anything within the property limits of the provided housing, in which belongs to the club or any player housed by the club. All Ocean City Nor’easters players are responsible for communicating all injuries & illnesses to the club technical and medical staff. The Ocean City Nor’easters cannot be held responsible for any injury or illness, which was not communicated properly. All Ocean City Nor’easters players are expected to communicate their availability at the earliest convenience, throughout the entirety of the season.